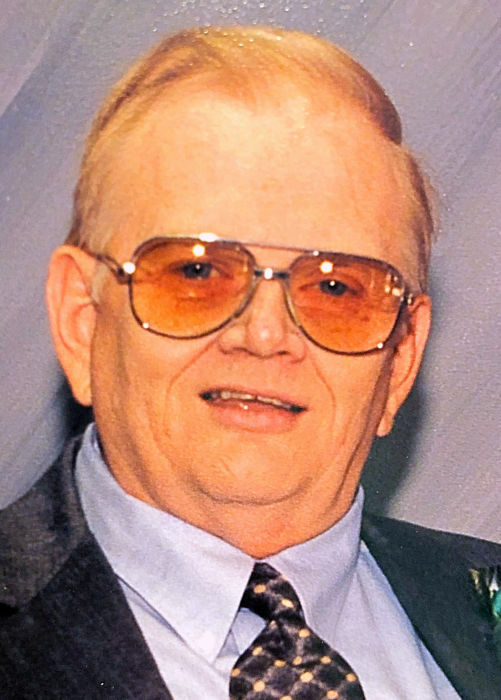 Obituary for Ronald Thomas Siembieda | Family Care Services, Inc.
Columbiana - Ronald Thomas Siembieda, 77, died February 2, 2019 in Columbiana, Ohio. Ron, also known as “Red”, was born on March 29th, 1941 in Youngstown Ohio to John J and Elizabeth Strauch Siembieda of Youngstown, Ohio. He graduated from Chaney High School in 1959. He married the love of his life Joyce Byo Siembieda on April 3, 1964, they were married for 43 years at the time of her death. Ron moved to Columbiana in 1976 with his family and made his home there. He worked at various jobs before being hired at the Fisher Body plant in Lordstown, Ohio. Ron retired from General Motors fabrication plant in Lordstown in 2003 with over 30 years of service as a tool and die welder. After his retirement, Ron volunteered at the Columbiana County Career and Technical Center in the welding department. He enjoyed working with all of the students and helping them learn the trade and get jobs as they graduated. Ron was a member of St Jude Roman Catholic Church in Columbiana. He was also a member of the American Welding Society, and Dublin Grange in Canfield, Ohio. Ron was also a 4-H club advisor for many years with his Life. He is preceded in death by both of his parents, one sister Geraldine Siembieda, and his wife Joyce. He is survived by two daughters, Christine (Brian) Lanstrum of Parkman and Debra (Harley) Butler of Arcadia, FL; three sons, John (Malinda) Siembieda of Leetonia, David (Shelly) Siembieda of Austintown and Kevin (Bonnie) Siembieda of Hanahan, SC; nine grandchildren and three great grandchildren. He also leaves a brother Donald (Patricia) of Youngstown and a sister Mary Ellen of North Jackson as well as several nieces, nephews, and great nieces and nephews. Additionally, he leaves behind Raymond Wuckovich of Columbiana whom he thought of as another son, and a very special friend Willie Sheville. The family would like to sincerely thank all of his caregivers and friends, and the staff at Covington Skilled Nursing and Rehabilitation for their care and compassion. Friends may call from 3:00 p.m. to 5:00 p.m. on Saturday, February 9, 2019 at Warrick-Kummer-Rettig Funeral Home, Columbiana. A Mass of Christian Burial will be celebrated two days later, at 10:00 am, on Monday, February 11, 2019 at St. Jude Roman Catholic Church. In lieu of flowers, monetary donations can be made to the American Welding Society Mahoning Valley Chapter to assist those wanting to learn the welding trade. Donations can be sent to Elizabeth Zimmerman, Treasurer AWS Mahoning Valley Section 18, 9364 OH- 45 Lisbon, OH 44432.